August 18, 2010 – At 09:53 Stations 1 & 2 were dispatched to 110 Route 61 South (Church by Penn State) to set up a Landing Zone for incoming aero medical. Crews arrived on scene and established a secure area for “the bird” to land. Chief 722 had command and all units remained on scene for about 25 minutes. August 16, 2010 – At 11:50 Stations 1 & 2 were dispatched to Route 61 and Manheim Road (McDonald’s) for a vehicle accident with unknown injuries. Chief 722 (Sattizahn) arrived on scene and was met with a single car accident involving a pole and no injuries. Crews applied floor dry to the area around the vehicle and waited for the tow company to arrive. Time out was about 30 minutes. August 13, 2010 – At 03:26 Stations 1 & 2 were dispatched to the area of Second Mountain Road and Manheim Road to assist with traffic control. Crews arrived on scene and assisted with traffic control and sweeping debris from the roadway. Chief 720 had command. August 7, 2010 – At 10:34 Stations 1 & 2 were dispatched to 110 Route 61 (Church by Penn State) to setup helipad support for incoming Life Flight 5. Crews arrived on scene and established a secure area for “the bird” to land. Chief 723 had command and units remained on scene for approximately 1/2 hour. August 7, 2010 – At 10:22 Stations 1, 2 & 4 were dispatched to 733 North Garfield Avenue for a medical/lift assist. When crews arrived on scene they assisted EMS with lifting a patient. Chief 723 (D0natti) had command and personnel remained on scene for approximately 15 minutes. August 7, 2010 – At 07:31 Stations 1, 2 & 4 were dispatched to 252 Dock Street for an Automatic Fire Alarm. Crews arrived on scene and once again performed a walk through of the building and determined the alarm to be a false activation. Time out was about 10 minutes. August 7, 2010 – At 2:38 Stations 1 & 4 were dispatched to the area of 1266 Schuylkill Mountain Road for a vehicle accident with reported injuries. Chief 723 (D0natti) was the first unit to arrived on scene and was met with a vehicle roll over and only minor injuries. Rescue 726, Engine 737, and Squad 739 remained on scene for approximately 2 hours until PSP and the tow company arrived. August 6, 2010 – At 07:36 Stations 1 & 2 were dispatched for any available personnel to 3 Pleasant Row for a Medical Assist. Crews arrived on scene an assisted EMS with a cardiac arrest. Personnel remained on scene for approximately 20 minutes. August 4, 2010- At 08:44 stations 2 & 4 were dispatched to the intersection of West Columbia and Railroad streets for a transformer fire. Duty Chief 722 (Sattizahn) arrived on scene to fine a transformer that was “tripped” but with no visible fire. 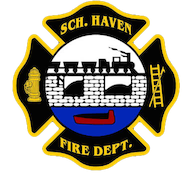 Apparatus remained on scene for about 5 minutes until the Schuylkill Haven “Line Crew” arrived on scene. August 3, 2010- At 06:48 stations 1 & 2 were dispatched to the area of Route 61 and Pottsville Street (near Manheim Diner/Connors Crossing) for a motor vehicle accident with no injuries but with fluids down. Duty Chief 723 (Donatti) arrived on scene soon after dispatch and advised SCCC to cancel off incoming units because there was no need for apparatus on scene.